Welcome to the home of Melbourne car wreckers, your one-stop shop for the most affordable auto parts in Laverton. Over the past 20 years we have built a solid reputation for supplying the best and the hottest car and truck spare parts, at the best prices, right across Melbourne. We are Australia, family owned business, located in Laverton in Melbourne and have built our reputation on our honesty and our hard work. 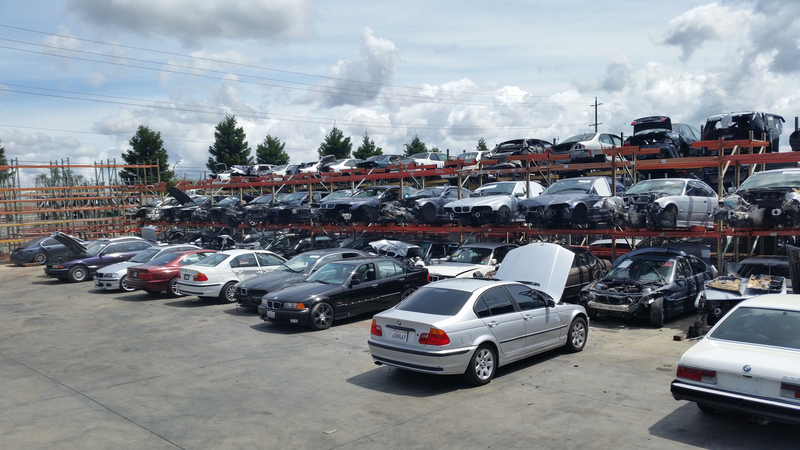 If you are looking for Used Car Parts in Melbourne, don’t waste your time calling other auto dismantler, save your money and call us at wreckzone. Once you buy from us, you will never go anywhere else – our customers stay with us because they know we have everything they need at the right price. We specialize in Toyota and Nissan parts, but we also have spare parts and reconditioned engines for Mazda and Mitsubishi. Why are wreckzone the best auto wreckers in Melbourne? We have the best prices on Honda parts, Holden parts, Toyota parts and Audi spare parts. Our reconditioned engines are reliable and affordable. Can’t pick up your parts? No worries – we deliver locally the same day and the next day anywhere in Victoria. We offer a professional spare parts fitting service with a qualified A-grade mechanic (right next door). Car not running? No worries – can we tow it for FREE. Looking for rare spare parts in Melbourne – I bet we will have them! We pay Top Dollar CASH for old cars. It doesn’t matter whether you want a single bolt or a reconditioned engine, if you are searching for Used Car Parts – check with us first because we are sure to have what you want at a price you can afford. This entry was posted in Auto Wrecking and tagged aus auto parts melbourne laverton north vic, car parts wreckers melbourne, ford car parts melbourne, ford car parts melbourne aus auto parts, holden car parts melbourne, Japanese used car parts, melbourne laverton north vic, second hand car parts australia, second hand car parts dandenong, second hand car parts online, used car parts, Used Car Parts for Honda, Used Car Parts for nissan, Used Car Parts for Toyota, Used Car Parts Laverton North on July 18, 2017 by Wreckzone.